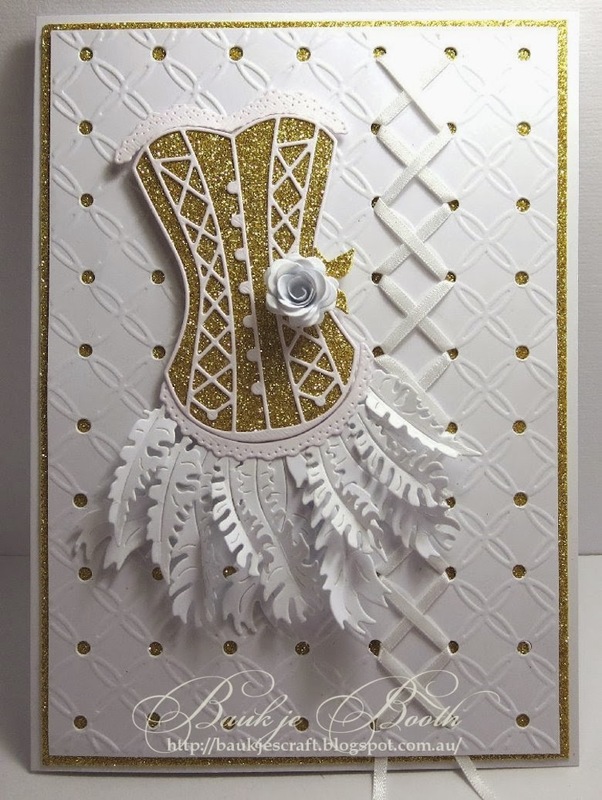 Below are two cards I have made for FatCats Card Corner using the Crafty Ann Feather die set. I'll list the other dies I have used below each card. 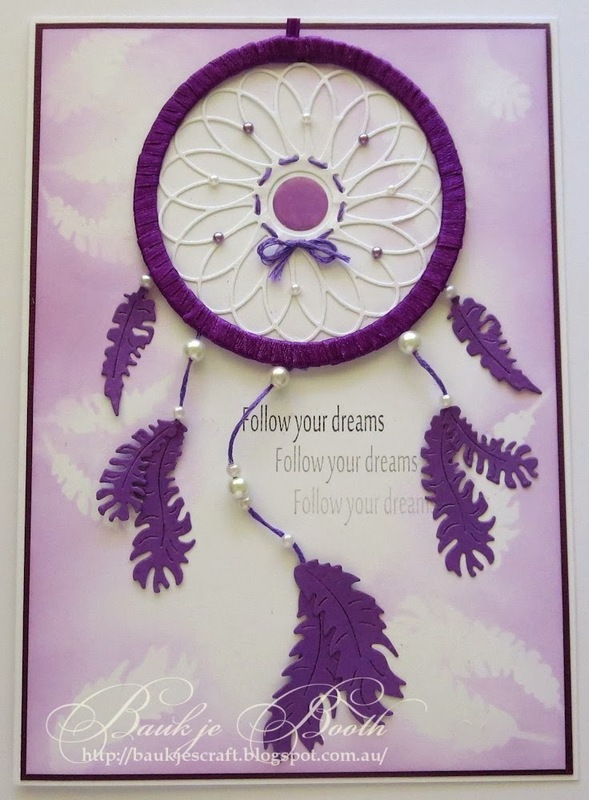 I made the Dream catcher by cutting a circle with a couple of Spellbinder circle dies and then wound ribbon around it, the center is the Memory Box Whimsy Circle Die. I created the background by cutting some of the feathers and used them as masks to sponge on some ink. 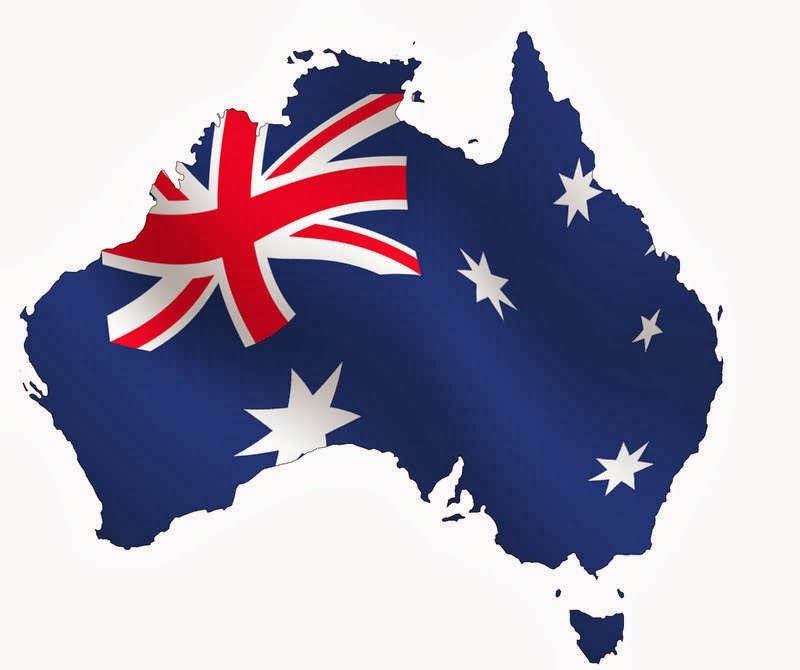 I hope you are all safe,whether it be from the heat, cold or wet depending on where you are from and the weather you are having at the moment. We have just had four days of over 40° C here and am happy that today is much cooler. This card I made a while back and haven't shared with you, I don't know the maker or brand of stamp this is, it was a gift for my birthday. 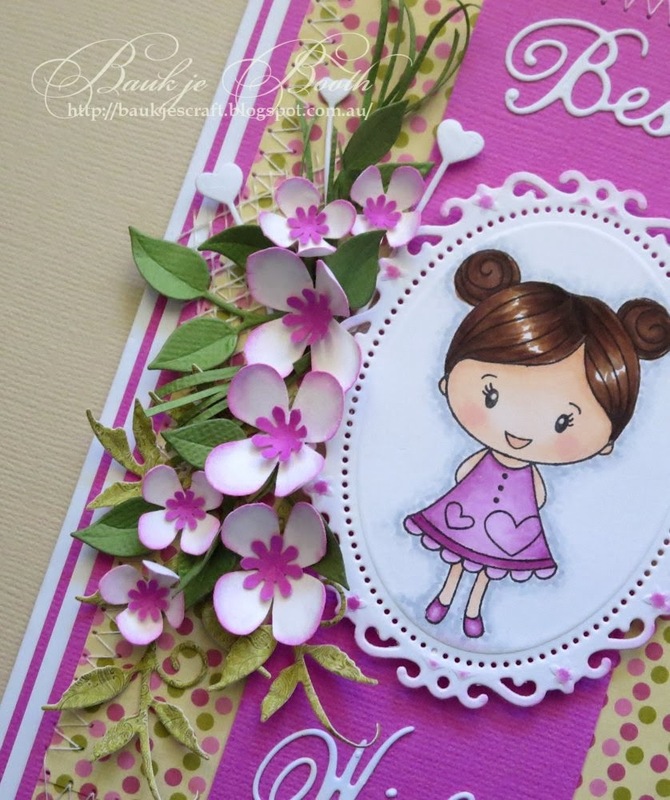 I coloured her with copics, and used Spellbinders Floral Ovals to cut her out. The flowers are made from Martha Stewart's Hydrangea punch and a small daisy punch. 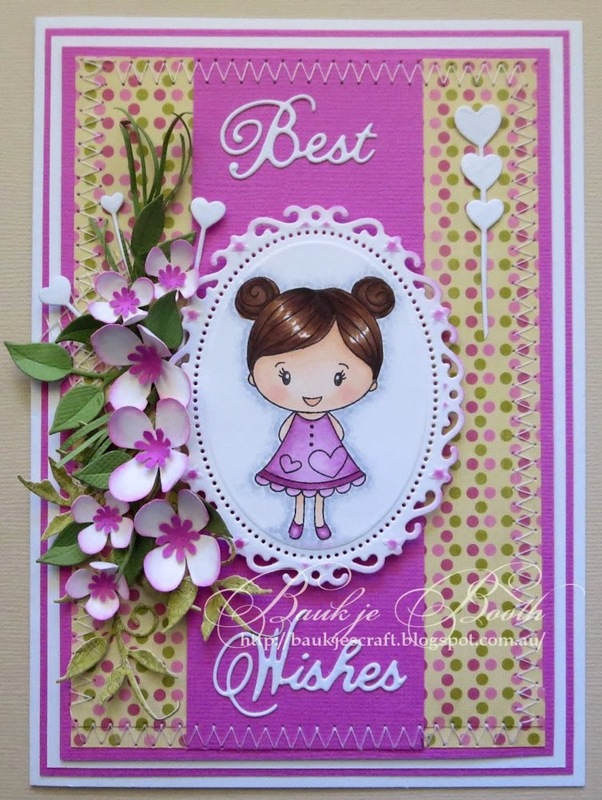 The leaves are the Elizabeth Craft Designs Curvy Leaves and the Poppy stamps Lovely Tendril. I hope it's filled with love, good health, happiness and of course lots of crafting. My family had a wonderful 5 days away camping for our Christmas and although the weather wasn't the kindest we still all had an amazing time. Not a lot of card making has been done since getting home so I'll share one I made before Christmas. I have discovered a love for old Singer sewing machines and have been lucky enough to be able to purchase two. I have a 1906 15K model converted to electric but I'd love to get an old treadle cabinet to put it into, and I also have most recently got an 1929 99 model that is a hand crank. So when I found this digital image I just had to colour it and make a card. 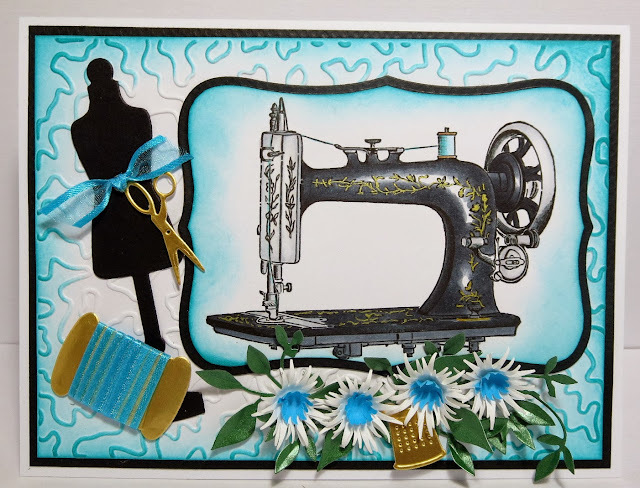 The embossing folder I used is the Couture Creations Entangle which reminds me of the stippling quilters do on their quilts and the other dies used are from the Di-namics Sew Nifty set. Thank you for taking the time to visit me today.